Your toddler’s favorite cartoon is over and it’s time to turn off the TV. But when you press “Off,” you hear ear-shattering, teeth-jarring screams from her pierce the air. 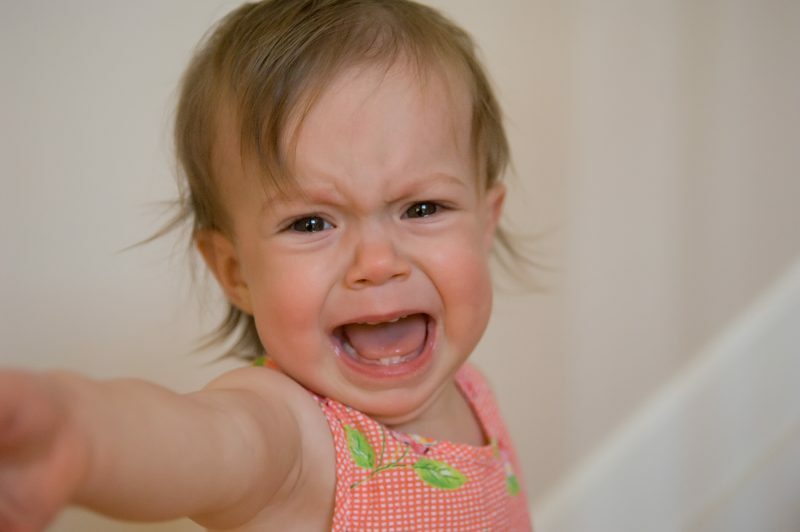 Temper tantrums are a normal part of development and usually occur between the ages of 1 and 3. They can range from whining and crying to screaming, kicking and hitting. 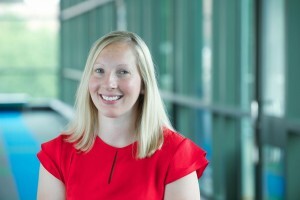 Dr. Amanda Gogol-Tagliaferro (Dr. GT), a pediatrician at Akron Children’s Hospital Pediatrics in Fairlawn, says the best way to deal with tantrums is to avoid them in the first place. She suggests you use positive reinforcement when you see your child doing good things, make it clear what behaviors are not tolerated and set your child up for success. “A snack before leaving for an outing, or errands structured around a good nap will ensure a happier trip out of the house for everyone,” Dr. GT said. Unfortunately, there will be times when your toddler will lose her cool no matter what. So when you’re faced with a child in the throes of a tantrum, Dr. GT offers these tips to handle the outbursts in the heat of the moment. Your child relies on you to be the example. Hitting and spanking don’t help. Physical tactics send the message that using force and physical punishment is OK and can actually result in an increase of negative behaviors over the long run. 2. Try to understand what’s going on. Tantrums should be handled differently depending on the cause. Try to understand where your child is coming from. For example, if your little one has just had a great disappointment, you may need to provide comfort. It’s a different situation when the tantrum follows a child being refused something. Toddlers have fairly simple reasoning skills, so you aren’t likely to get far with explanations. Ignoring the outburst is one way to handle it, if the tantrum poses no threat to your child or others. 3. Use humor or distraction. Kids in the middle of an emotional tantrum are out of control and trying to reason with them won’t work. Instead, get your child interested in another toy or make a funny face to draw his attention away from what’s frustrating him. Continue your activities, paying no attention to your child, but remaining within sight. Don’t leave your little one alone, though. 5. Carry him to a safe place to calm down. 6. Use a time out. Rather than setting a specific time limit, tell your child to stay in her room until she regains control. This is empowering. Kids can affect the outcome by their own actions, and thus gain a sense of control that was lost during the tantrum. However, if the time-out is for negative behavior (such as hitting) in addition to a tantrum, set a time limit. When your child is kicking and screaming, keep cool. Don’t complicate the problem with your own frustration because kids can sense that. This can make their frustration worse, and you may have an escalated tantrum on your hands. Instead, take deep breaths and try to think clearly.